How Many Times Will A Home Seller Counter Offer? If you are thinking about buying a home, then you likely are starting to wonder about the home buying process, what to expect from your Tallahassee real estate agent, third party providers, and even what you should expect from the property owner once you make an offer. These concerns are typical from prudent buyers wanting to ensure they leave no money on the table while getting the best house possible for their personal situation. And fortunately for you, there is something important to learn on this subject and you will likely be ahead of the game when it comes time to buy your home. In fact, the survey of recent homebuyers conducted by Chase Bank a while back showed that more than 80% of all homebuyers (after the fact) reported that they wished they had known more about what to expect before they bought a home. So keep seeking answers to your questions and questions that need answers regarding the process of buying a home and it is highly likely you'll join the group of less than 20% of all homebuyers who were very happy with their purchase. 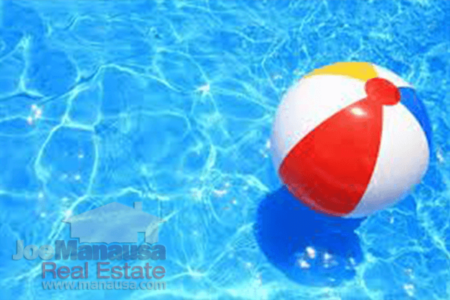 A recent visitor to the Tallahassee Real Estate Website asked "how many times will a home seller counteroffer." I happened to see the question "live" on our site at the moment when I was trying to decide the topic for today's blog post. I would encourage this visitor, and everybody else who is getting ready to buy a home, to read our article on Why Fear And Greed Rule The Housing Market. 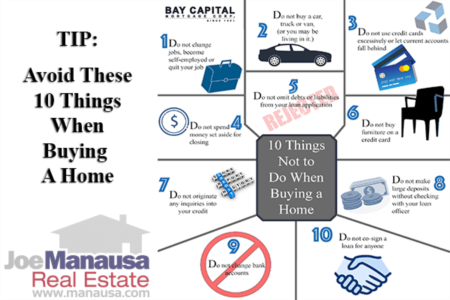 Though it was written as advice to home sellers, it does not require much interpretation to see how the advice also applies to buyers. So, what is the answer to the visitor's question? In a nutshell, the seller will only counter if you write an offer she cannot accept. And this answer begs the question ... "do I want to write an offer the seller might accept, or do I want to force the seller to counter." The answer to this requires an understanding of the seller's motivation and position. In order to specifically answer the question, let's assume the home in question is in NE Tallahassee and priced below $300,000 (a highly liquid segment of the market). 1) The Seller is priced to sell - IF the seller is listed at or below market value, it is likely to assume that you will have competition for the listing. So make an offer below full price, and at best, you will get a counter from the seller. But what about the buyer who at the same time brought in an offer 1/2% above asking price and demanded a quick answer? More often than not, you will lose the home to that buyer. 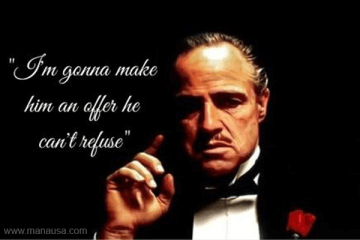 So when a seller in a highly liquid market is a great value, write an offer at a level that discourages a counter offer. 2) The Seller's asking price is about 5% high - Most of the people looking at this house will be disappointed in it, as they are comparing it with homes priced higher. They expect to pay more, so this home would have to be perfect for their tastes for them to make an offer. Unlike the days before the internet, buyers use price to rule out what they do not want, and then visit the homes with a certain expectation. Over-pricing almost always ensures the seller fails to meet the buyer's expectation. So with this in mind, with you being the buyer, you can make a significantly lower offer as you are not so worried that another buyer is likely to be competing with you for this property. If the seller counters (and you expect that they will), walk away for a while. An overpriced listing won't go away. Have your agent continue to work them and keep an eye on their current asking price. 3) The Seller's asking price is well above its market value - There is no offer that you can make unless you are resolved to buy this house and over-pay. Why? Because a seller who is grossly overpriced is not motivated to sell it at market value (yet). You should not even go look at overpriced houses, because only 2 things can happen (and they are both bad for you). Either you'll fall in love with a house you should not/can not buy, or you'll end up paying more than market value because you chose to attempt to negotiate with a low-motivation seller. If you feel compelled to make an offer, write it at what you think the home is worth and tell them to "take it or leave it," and tell your agent to discard any counter-offer. It has been my experience that the best deals we've seen for buyers have been obtained by writing offers that were so close to what the seller wanted that the seller chose not to counter. Negotiation is like the kids game of tag. Everybody knows who is "it," and who is "not it." The Seller starts the game in control (the seller is "it") and then states an asking price. If the price is super competitive, the seller remains in control as she has no fear of losing a buyer (if the first buyer goes away, there will always be others for a good value). Once a home is on the market for a few days, the control moves to the buyer(s). If the home was a great deal, a stalking buyer would have already made an offer on it. But the fact that the home is still around after several days tells you that the price is not exciting enough to get a buyer to jump. So the buyer can make a compelling offer and control the negotiation. Determine the price the home will sell for (if you do not buy it) and attempt to buy it at or below that price. For example, if you've been looking at homes in and around the $280,000 price point and find one that you like, ask your agent what she/he thinks it will go for if you do not buy it. Make your offer very close to that amount and it is likely you've made a compelling offer. If you want to know more about getting an exceptional value in today's real estate market, just contact me here and we'll set up a time to review your needs and wants and put you in control of your home buying process.